Timelapse of dramatic cloud at sunset, cloudscape in fast motion, sunlight at twilight. hd00:12Big sun. Morning view of the city. Time lapse. Sunrise time lapse. hd00:33A Time-Lapse of the Sun setting over the city and disappearing behind the horizon. hd00:20Sunset or sunrise Over city. 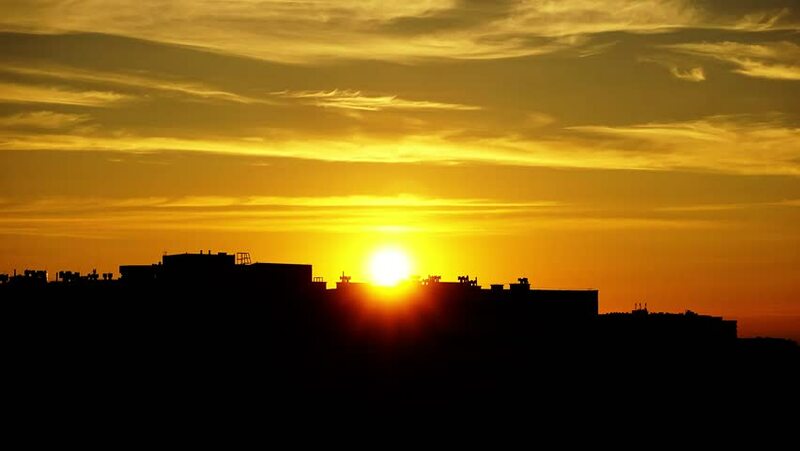 Sun close up going down over foreground silhouette buildings.